Saissan has a key interest in cardiovascular surgery and medicine. The writing of this article stemmed from his own personal interest into the future of cardiac surgery amidst the growth of percutaneous interventions. The innovation of the cardiopulmonary bypass machine in 1951 had now allowed surgeons the ability to operate on the heart without any time constraints. It was not soon after that Russian Cardiac Surgeon, Dr. Vasilii Kolesov, had performed the first successful coronary artery bypass surgery. His success and the innovation of the heart valve prostheses had led to the rapid development of one the most glamorous specialities of medicine. Despite this dramatic rise of cardiac surgery there has only been modest technological advances within the field. Although noticeable improvements from the standard operation including arterial grafting, off-pump surgery, small incision surgery and endoscopic conduit harvesting have been made, the reluctance to tamper with original success has meant that only a niche group of surgeons have adopted such modifications. Outside the surgical realm, advances in the anatomic treatment of cardiovascular disease has been dramatic and paramount. Percutaneous transluminal coronary angioplasty (PTCA) has since progressed from primitive ineffective use of balloon angioplasty. 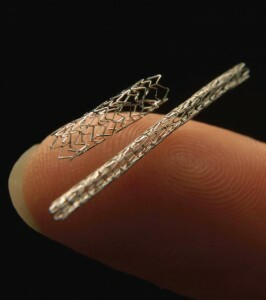 New drug eluting stents and strong platelet inhibitors are available for the treatment of cardiovascular disease. Extrapolation of the above data shows clearly that there will be a reduction in the number of operations performed through median sternotomy. However this route is not obsolete, nor will it be so in the near future. Despite the advances in PTCA, the surgical approach is still required for those with multivessel disease and diabetic vessel disease. Coronary bypass grafting has been an effective strategy in these patients and will continue to be effective. Those within the cardiac field state that there will be a shortage in qualified cardiac surgeons being able to combat high risk cases in the future due to inadequate training consequential of catheter-based intervention. Training programs already have a difficult time providing effective clinical training in many open procedures including valve repair, complex bypass grafts, off-pump surgery and homograft valve surgery. Technological advances will result in a further subspecialisation of the field and move away from the “general” cardiac surgeon. Small volume cardiac surgery hospitals will diminish with the future progressing towards a limited number of superspecialised cardiothoracic surgical institutions centred in metropolitan areas that are able to combat the high risk difficult cardiac cases. 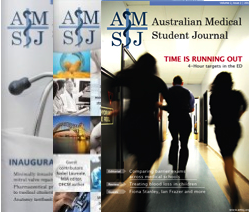 Currently, at the Australian college of surgeon level, there is a push towards a combined vascular and cardiothoracic training program with cardiothoracic fellows already pursuing fellowships in vascular surgery and vice versa as the differing surgical skills required in the two fields will complement each other, better equipping the surgeon with skills to utilise modern technological devices and resulting in an amalgamation of both specialties. Countries outside of Australia, such as Germany, Canada and Japan have always had separate paths for training in Cardiovascular and Thoracic surgery. Perhaps one may see a shift towards these countries in the future. For those who believe the cardiac surgeon is a dying breed, this is far from the truth and a mere myth. Interventional cardiologists have become more skilled and adventurous with the catheter-based technologies, but they are limited to that one approach. Cardiac surgery will expand as it encompasses newer technologies. The next generation cardiac surgeons will be equipped at complex bypass grafting, heart transplant and congestive heart failure treatment modalities, percutaneous mitral valvular repair and be equipped with endoluminal vascular surgical skills. A change from an individual treatment approach is also required in the field of cardiac medicine, with a multidisciplinary team comprising of both the cardiac surgeon and the cardiologist. At the end of the day, it is the patient’s interest that should be the centre of focus, eliminating conflicts between areas of expertise and allowing the practice of evidence-based medicine. Cribier A, Eltchaninoff H, Bash A, Borenstein N, Tron C, Bauer F, et al. Percutaneous transcatheter implantation of an aortic valve prosthesis for calcific aortic stenosis: first human case description. Circulation. 2002;106:3006–8. Australian Institute of Health and Welfare. Cardiovascular disease: Australian Facts 2011. Cardiovascular disease series. Canberra:AIHW;2011. Cat. no. CVD 53. AIHW: Field B. Heart failure…what of the future? Bulletin no. 6. Canberra:AIHW;2003. Cat. No. AUS 34. Cox JL, Ad N, Palazzo T, Fitzpatrick S, Suyderhoud JP, DeGroot KW, et al. Current status of the Maze procedure for the treatment of atrial fibrillation. Semin Thorac Cardiovasc Surg. 2000;12(1):15–9.